Product code: W720 Categories: Sold Items, Sold Omega Watches. Now this is a great vintage Omega watch from 1935 that will always look so good no matter when it is worn and really has all the great characteristics for a vintage watch. This rectangle Omega is fitted in a staybrite case that measures 34mm by 23.6mm plus the crown and looks great on the wrist day or night and the dial has been expertly restored to its original condition and looks spectacular and so easy to read. The case opens to reveal a special housing for the movement to protect it further from the elements and inside this is the superb manual wind Omega T17 calibre that not only runs superb and comes with our twelve month warranty but the T17 calibre has an astonishing 60 hour power reserve. From its wonderful stepped design case to the dial all the way to the powerhouse of a movement inside, this vintage Omega from 1935 is just a classic that will always be admired every time that it is on the wrist. History of the Omega calibre T17. 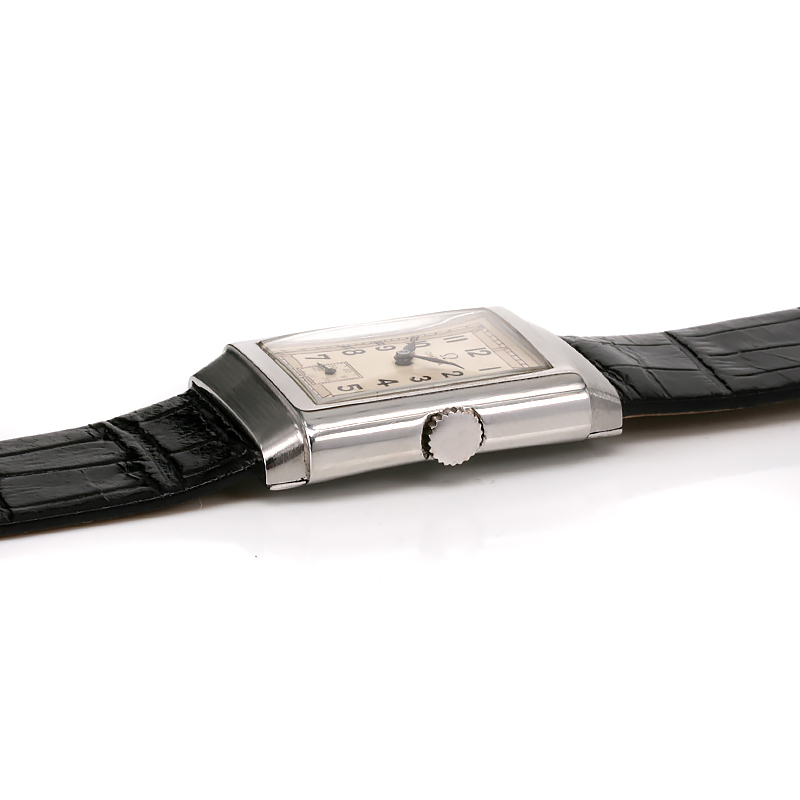 Designed by Charles Perregaux in 1934, the “T” is in reference to the movements tonneau shape and the “17” to its width at its centre in millimeters. The Omega calibre T17 has an astonishing power reserve of 60 hours, impressive by today’s standard, even more so when it was made over 80 years ago. A true technical innovation by Omega, 167,000 Omega T17’s were produced powering so many watches the world over. A wonderful movement still considered one of Omega’s best even today.